With tennis fans processing the disappointing, if not shocking, news that Rafael Nadal's grand slam season is over, there are a number of questions. The knee injury keeping the Spaniard out of the US Open, is surely disappointing to him, but just as much, if not more, to the legions of Rafael-ites. We can't do much for Rafa's knees, but we can hopefully help some of the fans out. We know fans love Rafa for any number of reasons and some might even have a little trouble getting fired up about the Open in the absence of their usual cheering interest. Well, as always we're here to help. Here's the Blacklabel Tennis guide on who to watch if you're missing Nadal at the 2012 US Open. Immediately after Nadal announced he was out of the US Open, the comments came pouring in from journalists and Federer fans alike. Logically enough, the Swiss is Nadal's career rival, the World No. 1 not to mention a five-time US Open champion. Not to mention, the two players' careers are so entwined they're almost an ATP version of peak-era Williams Sisters. All of that is true, but remember, 28 matches into their rivalry, Federer and Nadal have never played at the US Open. 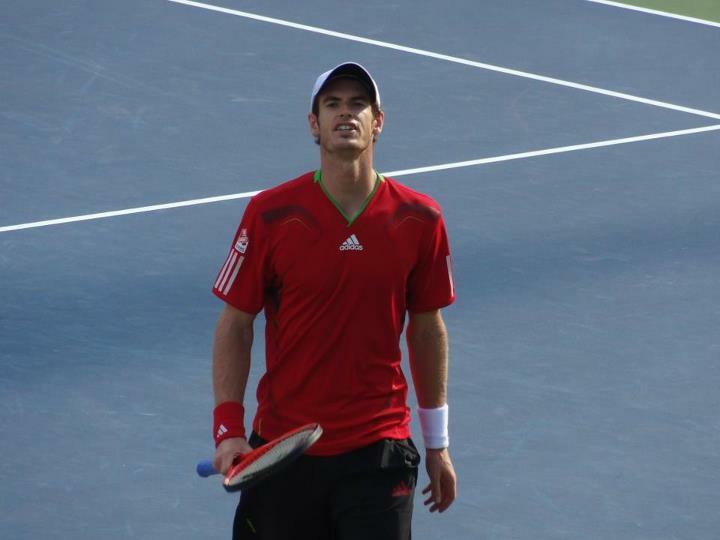 We'd say the man most likely to benefit from Nadal's withdrawal is Olympic gold medalist Andy Murray. In what Nadal fans previously considered his annus horribilis, 2011 (with the six losses to Djokovic) he beat Murray in three consecutive major semifinals. Murray is riding a tidal wave of positive energy coming off of his victory at the other event at the All England Club and of course reached his very first major final, back in 2008 in Flushing. His game also generally flourishes in the American summer, coming off of the British tabloid pressure cooker, Murray won four of his eleven Masters Series crowns during the American summer and three times has finished either first or second in the Emirates US Open Series. He certainly has the game to win the US Open, momentum on his side and his most familiar roadblock has been removed. A big part of Nadal's appeal is the physical way he plays the game. The way he scurries line-to-line, out of frame, to crashing into the camera, hitting impossible-seeming running winners with that bolo forehand is something sports fans, into tennis or not, marvel at and understandably so. There are only a few players as kinetically explosive as Nadal, but one of them is certainly Gael Monfils. Monfils, previously scheduled to make a rehab start in Winston-Salem, but pulling out due to his own knee injury, might even one-up the Spaniard in this category. The wild-haired Frenchman plays the very definition of eye-popping tennis. Leaping, spinning, seeming to fly across the court and then hyping up the crowd after a "how'dhedothat" winner, flair doesn't seem a strong enough word to describe it. Monfils is a human highlight reel. Humility isn't a big part of the Monfils package, he puts on a show and he expects the applause, but if you want to watch a player who does the physically impossible on a tennis court, you can't do better than the Gael Monfils experience. The Spaniard's signature shot is his lefty, buggy-whip, bolo forehand of course, but on an ATP tour full of big fearhands, who's got the best shot to watch? Put your chips down on ninth-ranked Argentine Juan Martin del Potro. A former US Open champion himself on the upswing from a season-killing injury in 2010, Del Potro's forehand is more like a shot from an industrial sized rubber band. There's a massive takeback that most club pros would discourage followed by a massive thwack (there really is no other word for it) over and over and over again. When the right-hander is firing that big weapon, you'd be smart to be watching...if for no other reason than if he mishits it, he could take your eye out with that shot. Look, I know most Nadal fans would be aghast that I would compare the generally mild-mannered statesman of the game with an tempestuous upstart like Harrison, but hold on, the young American and Nadal have more in common than you might think. Harrison's on-court intensity is legendary. Though all who have met him say that he's an extremely polite, respectful, dare I say, well-raised young man. On the court, Harrison plays with fire, no scratch that with FYAH, in both senses of the word. Prone equally to self-exhortation and self-flagellation on the court, you can't deny that Harrison has the desire to make his way up the ATP rankings. Unlike Nadal, who claims to have never broken a stick; Harrison could build a healthy side business in modern art given the number of mangled racquets he produces following poor shots or stretches. That said, if you like your players fiery; if you need visceral proof that the guy on the court gives a damn, and he's not just in the tourney for the free pasta and post-loss bottle service at the Standard, check out Ryan Harrison. 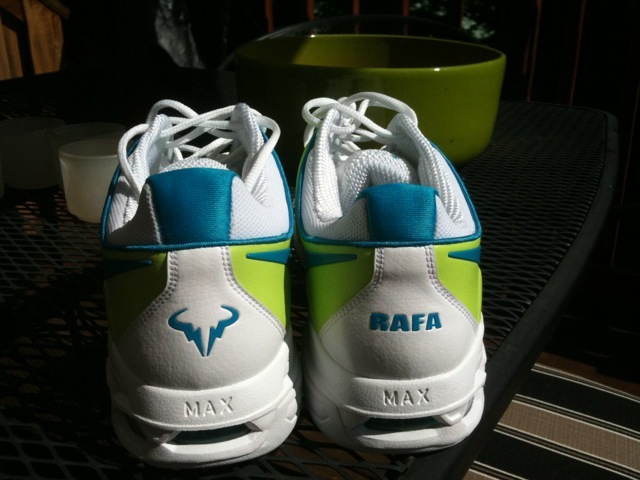 Let's be honest, some Rafa fans are as anti-other-top-players as the are pro-Nadal. For those who want to watch a championship caliber athlete outside of the reigning quartet, we have a solution, her name is Kim Clijsters. The three time US Open champ has called the tournament her last. Yes, she's said that before, but this time we're more inclined to believe her. The 29 year old, like Nadal, was World No. 1 early in 2011 and won the US Open in 2010. For Clijsters, it was her third win on the hardcourts of Flushing Meadows. Known for her powerful groundstrokes, and doing the splits regularly...on a hardcourt...Clijsters also should engender a bit of "hometown" support, she's Belgian of course, but her husband Brian Lynch is from New Jersey and the girl from Exit Bree often trains across the river in Jersey prior to the Open. For the ladies (and men) who love Nadal more for his shirt-changes and other assets, we're reminded of a quote we read about the Olympic Village. They're all professional athletes, even if the faces are 7s, the bodies will almost definitely be 10s. We can think of one or two exceptions, but we're being nice. For more Blacklabel Tennis and US Open coverage follow us on Twitter and Facebook. Dark Rolex DLC Unique Release wrist watches come with an just about all dark appear. Although Rolex doesn't produce chanel replica dark versions, the marketplace may be capable to produce a need with regard to these types of dark Rolex versions. You will discover that lots of merchants are providing different types of dark adjustments about the expensive Rolex in addition to pre possessed Rolex wrist watches. This can be a excellent replica chanel choice for those who aren't able to obtain on the job the actual Restricted Release wrist watches launched through the organization that are actually bought with a web host associated with celebs inside a couple of days associated with it's discharge. DLC Rolex wrist watches are just just like the actual workmanship which has eliminated involved with it. It's not simple to alter the initial Rolex wrist watches. It takes the actual workmanship from the greatest purchase in order to personalize pre possessed Rolex wrist watches. When you're rolex replica sale searching for altered Rolex wrist watches, browse around carefully as well as understand what you actually would like. This particular can help you within choosing the best type of Dark Rolex DLC Unique Release view. There are lots of view sellers that provide an array of rolex replica sale altered or even personalized Rolex wrist watches. Now you can purchase personalized Rolex DLC Submariner, Rolex DLC Milgauss, Rolex DLC Explorer, the Ocean Dweller, GMT Grasp or even the additional Rolex wrist watches. An additional reason merchants tend to be switching in the direction of changing or even designing Rolex wrist watches may be the cost element.